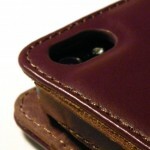 “We introduce you to one of the most classic genuine leather Case for iPhone 5,” says Acase. 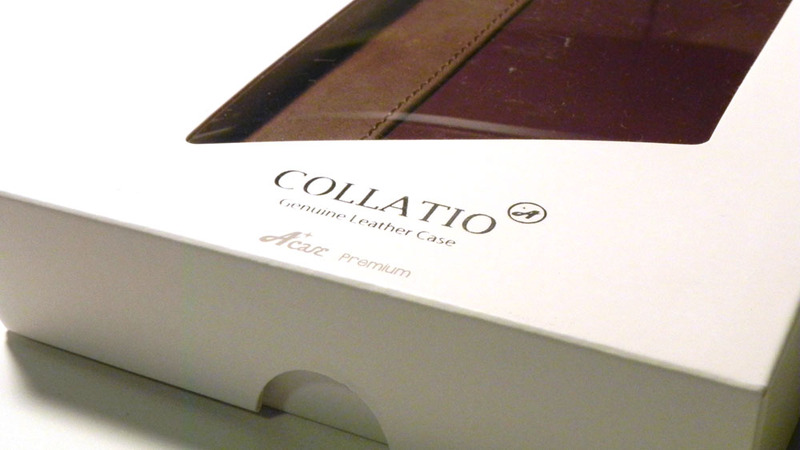 Given the rustic look of the Collatio case, we’d have to agree. 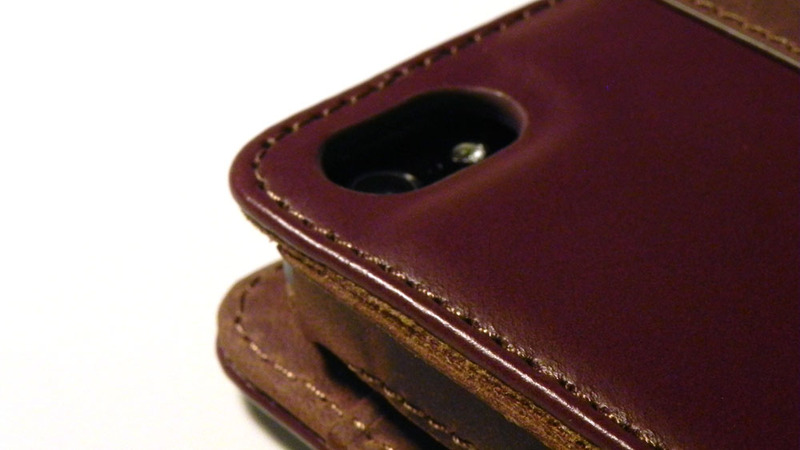 It’s priced at $39.90, available in the “vintage brown and red” design, and can be found on Amazon as well as Acase’s own website. In typical Acase fashion, packaging is kept to a minimum. 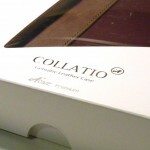 Because of this, the Collatio is presented to you front and center, and you don’t have to rummage around the packaging to get to what you actually want to. Acase prides itself by having excellent Amazon reviews. If you’ve never left a review for an Amazon product before, a sticker on the back of the packaging explains this to you. 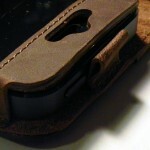 The rustic and vintage design comes off of the case very well. 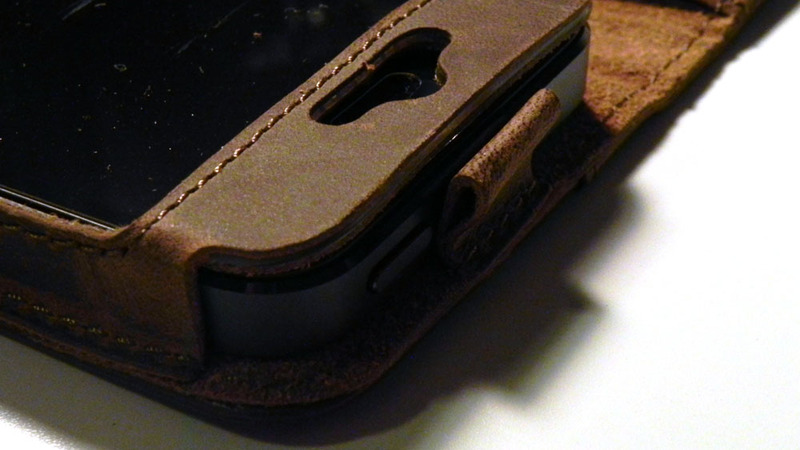 The hinge is finished with a worn-out leather, while the rest is nice and smooth. 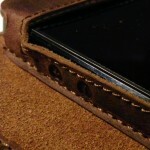 On the inside, you’ll find the same worn leather as on the outside hinge. 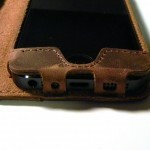 Your iPhone 5 will slip into the leather on the right side of the case. At first, it’s a bit tight, but it should eventually loosen up. 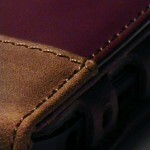 The quality of the stitching and various materials is top-notch, and you really do get a premium feel. Unfortunately, the front flap doesn’t stay closed. An elastic strap or a clasp of some sort would’ve been much appreciated. 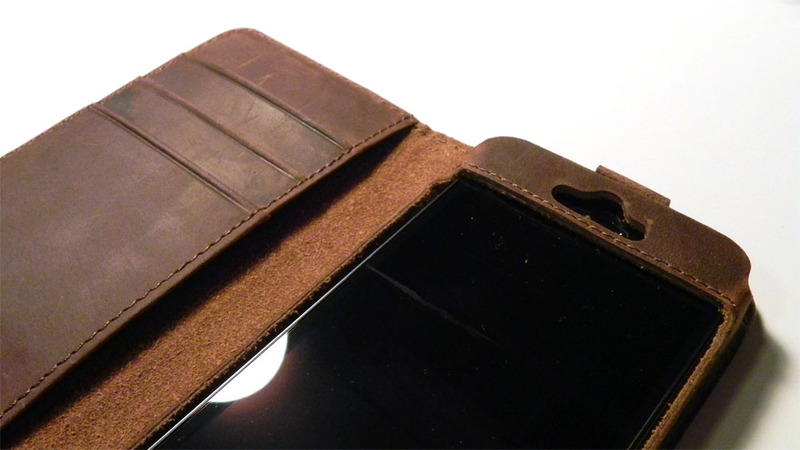 As soon as you open the case up, you’ll see that it can be used as a wallet. 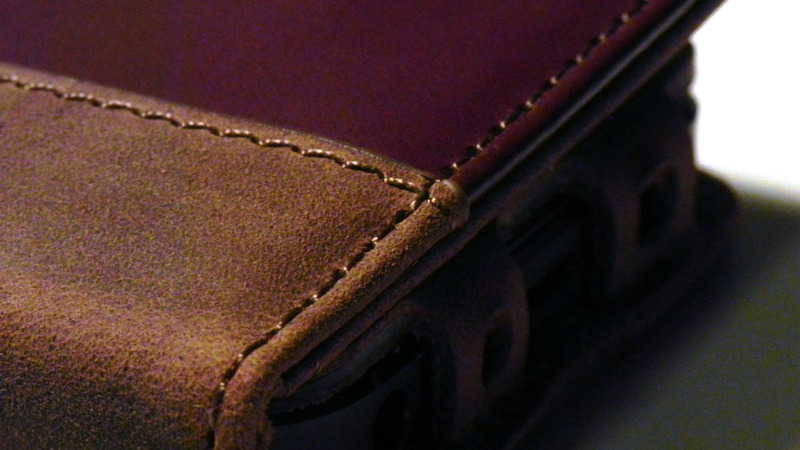 There are three slots that can fit your standard credit card-sized cards, while behind those, there’s a pouch that can be used to store items, such as cash, notes, and coupons. 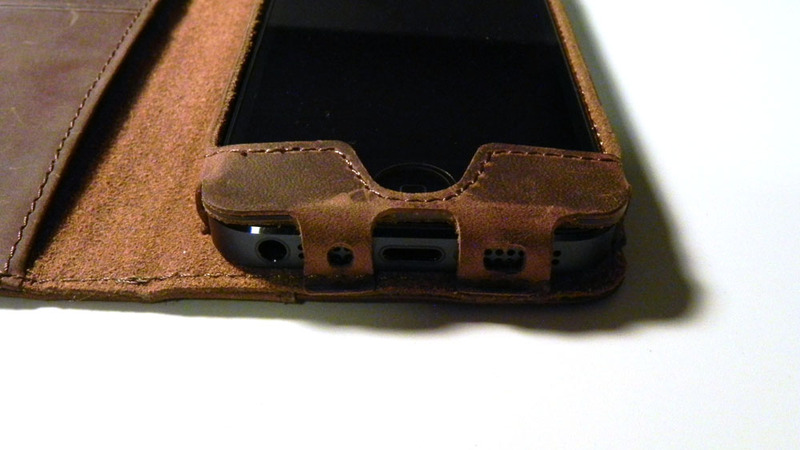 Your phone slides in and out of the right area, and is held firmly into place via the leather rails as well as the cutouts at the bottom. 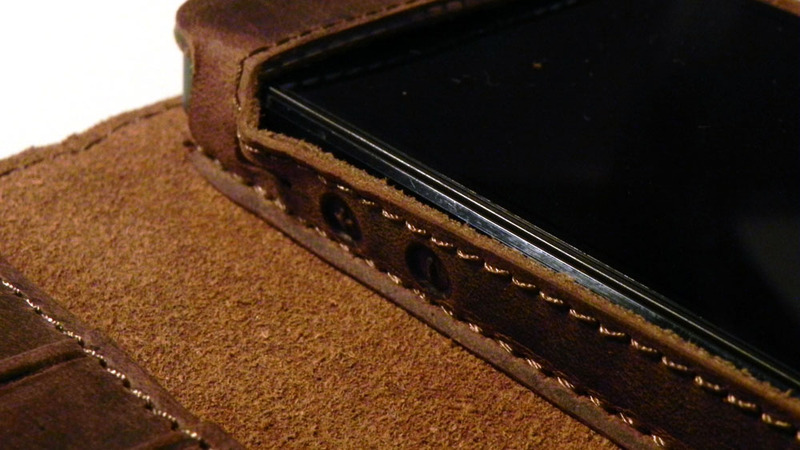 A loophole at the top of the case prevent the phone from exiting, and it also double as a small stylus holder. The volume up and down buttons feature their own covers, which provide an excellent level of click. Above those is the cutout for the silent switch. It’s a bit small, and quite hard to get into. A conformed cutout on the front is in place for the earpiece. The cutouts at the bottom of the case is where some problems arise. They’re essentially small circles that cover up a fair amount of the microphone and speakers themselves. Because of this, audio from the speaker is decreased a bit in terms of both volume and quality. I haven’t actually tested the microphone, but I could imagine the quality there being decreased a bit as well. If you rely on using a headset of some sort, I can’t imagine this being a dealbreaker. 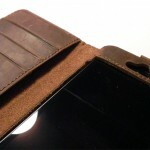 Due to the soft leather material, the case can handle moderate drops with no issues. 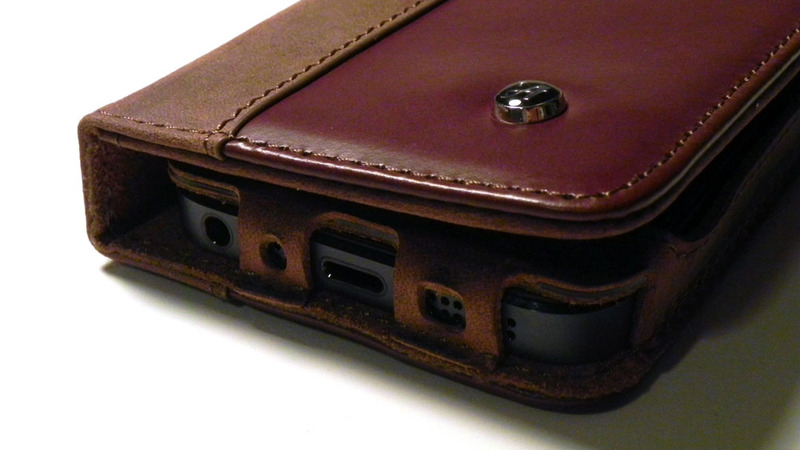 I’d be a bit worried to drop it onto concrete, however, as it could easily puncture the leather and ruin the case’s excellent design. At $39.90, it’s not cheap, but it’s not too overpriced. In fact, I feel as though it’s safe to say that this is one of the few cases that are available that is actually worth the selling price. 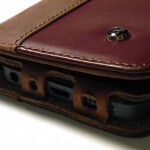 Everything about this case works very well, everything down to the design, materials, and features. You won’t regret picking one of these up.